BACK ON THE MARKET! BUYER'S FINANCING FAILED! 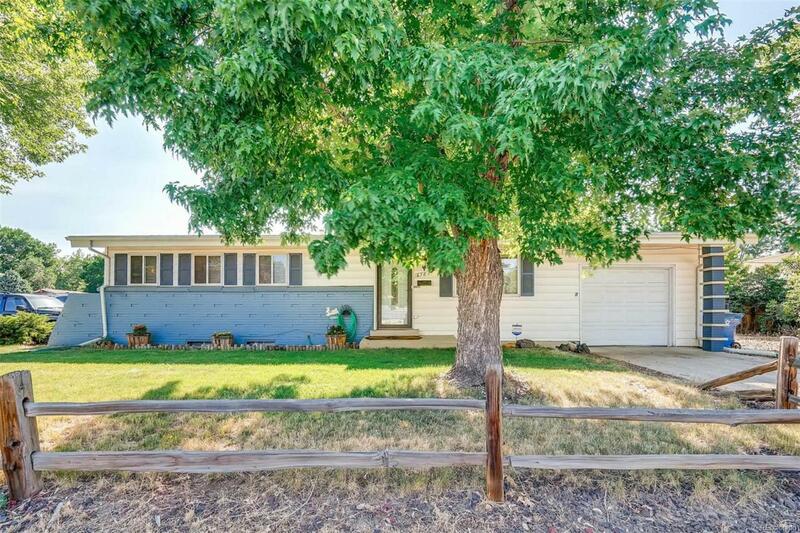 Located on almost 1/4 acre, and in the very popular area of Arvada, this large corner lot provides the perfect setting for this Mid Century Modern home! The great floorplan includes 3 bedrooms and 1-3/4 baths on the main floor, a kithen with its original appliances and eating/dining room combination, and a bright family room. The master bedroom suite has a remodeled 3/4 bath and two closets. There are hardwood floors throughout the upstairs. The treat is in the finished basement -there is a powder room, large family room, study, and best of all, a "secret room" - reminiscent of Speak Easy days.... Push the dry bar on one end - it turns! You can sit on the large patio and enjoy Colorado evenings and barbecues. Located between two parks, two schools, next to the Apex Tennis Center, and only a 20 minute drive to Boulder and Denver, this is a special home, and priced to sell! SELLER IS MOTIVATED and has reduced the price for you!